Forever Cabinets » What’s New At Forever Cabinets? The Markket opened to the public on Saturday, June 17th. The first day was very successful, it took 8 staff members to keep up! We have been very happy with the support we have received since opening. We did our first “Pop-up Bouti que” in June and have another planned for July 26 and 27. We plan on hosting more events in the coming months too. You can watch for these on our Facebook page – The Markket https://www.facebook.com/themarkketusa/ and we will have a website for The Markket very soon. shimlee.com is also off to a great start. If you haven’t visited the website yet, do so soon! The photos on wood are turning out just great and what a wonderful way to preserve life’s fleeting moments – save them on North American hardwood! Pay us a visit at The MARKKET to see the print lab, visit our website www.shimlee.com or visit us on Facebook https://www.facebook.com/shimleeusa/. We think you will love the product as much as we do. It’s really easy, give it a try. 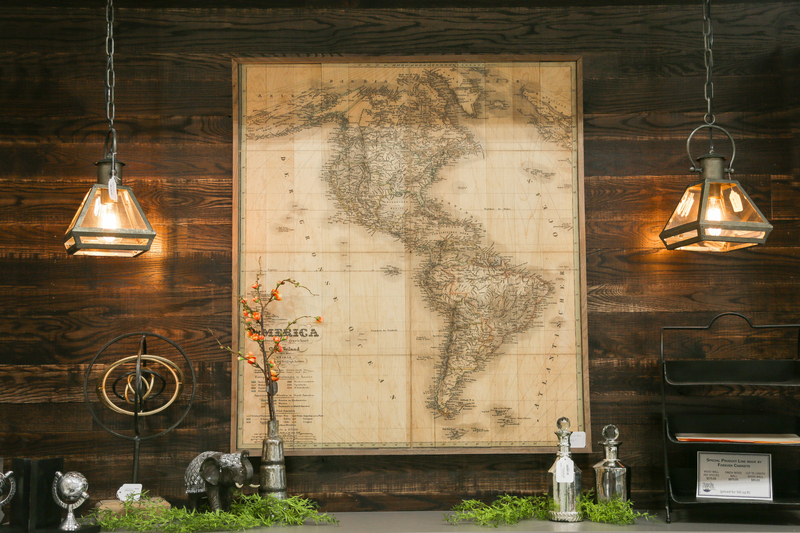 We are in Atlanta this month at America’s Mart, displaying our decor products for kendrick Home. The excitement is crazy! The booth looks great, the product is an awesome, one-of-a-kind product, the response from customers has been wonderful. We are hoping that our product will soon be available in a store near you. Locally, our product is for sale at The Markket and Blooms in Edgewood, Just For You in Dyersville and soon to be in Archives in Elkader. We are in the new cabinet shop and we love it! Work is progressing nicely on kendrick Home and shimlee. Check out our shimlee website, www.shimlee.com and place your order! We are operational. At this time we are accepting local orders and should be ready to go world wide soon! 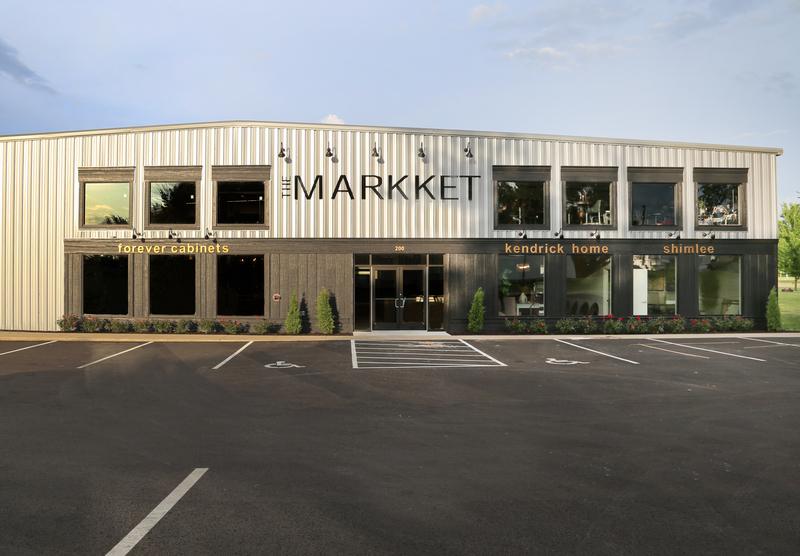 The MARKKET is scheduled to open to the public on Saturday, June 17th. We are getting so excited. 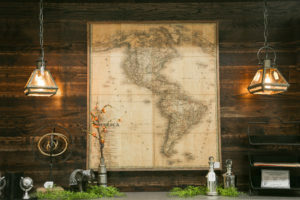 We will have cutting edge designs, beautiful real wood cabinetry… AND you will be blown away by the unique decor pieces, bar stools, rugs, and MORE! Make plans to visit us soon. Work is progressing on the new home of Forever Cabinets, kendrick Home, shimlee and The Markket. We are moving right along. This month saw the installation of the new dust collection system, a big step forward in preparing us for the move. We received 4 truckloads of the dust collection system and the majority of the outdoor parts are now standing and ready to begin wiring for power as of March 17th. The new collector has 384 filters and a 125 HP motor that will pull 34,000 cubic feet minute of suction from the plant’s pipes and equipment. The clean, warm air from the system will be returned to the building during the winter and can easily be diverted outside during the summer to prevent the building from getting too warm as long as the garage doors are open. The air from the entire plant will be re-filtered every 20 minutes. This system is much stronger, safer and more efficient than our existing system leading to less airborne dust, a cleaner plant and a better finished product. Work also started on the west parking lot at our new facility. We are repairing some drainage issues and will then put in a new, larger, surfaced lot for our customers. Some of the most exciting news has been the arrival or our new printer! Once everyone was trained, they were all super excited to get started. The creative juices are flowing and our customers will be very happy with the outcome! The building will house three businesses “Forever Cabinets by Kendrick”, “Kendrick home”, and “Shimlee”. All owned and operated by Tim & Rhonda Kendrick. “Shimlee” will begin the production of custom giclee on wood. Giclee is the art of printing art and pictures on a variety of mediums including wood, canvas and burlap. Our niche will be wood, however, we will be offering custom imprinting on a variety of products including wood wine boxes, golf balls, banners, signs, plaques, leather, ornaments, t-shirts, jackets, hats, and many other items. These items will be sold directly to the public and through our online sales system at Shimlee.com. Our website will be up and running sometime in the 1st quarter of 2017. It is our intention to promote from within, however we will be hiring additional staff for replacement of the promoted positions as well as other cabinet positions for this growth. There will also be positions in the plant for the construction of “Kendrick home” and “Shimlee” items. Staff additions will also be made for management, sales, design, office, and pack and ship. It is estimated that there will be a need initially for 12 additional staff. 1st grade teacher, Linda Tegeler received the Elementary Teacher of the Year for 2015-16. She used the funds she received to purchase shelving for her classroom from Kendrick Forest Products. For those of you not aware we are now selling Real Wood Walls. Rustic, Shabby Chic, Eclectic, whatever your style is you will love a “Real Wood Wall” from Forever Cabinets by Kendrick. Our “Real Wood Wall” is kiln dried to bring a beautiful, bug free product into your home.